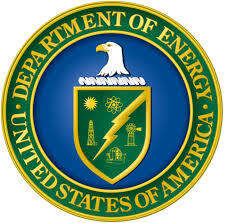 The Advanced Research Projects Agency-Energy (ARPA-E) of the U.S. Department of Energy (DOE) has released a $25 million Funding Opportunity Announcement (FOA) for its new MacroAlgae Research Inspiring Novel Energy Resources (MARINER) program. MARINER seeks to support the large-scale cultivation of macroalgae as a renewable feedstock for energy applications including biofuels. Initial concept papers are due February 14, 2017. The ultimate objective of the MARINER program is to help spur the development of a thriving marine biomass industry by leveraging the vast natural resources contained within the U.S. marine Exclusive Economic Zone. ARPA-E views ocean farming as a way to circumvent the more challenging aspects of terrestrial biomass cultivation, namely the growing competition for land and freshwater resources. To that end, MARINER will support the development of advanced yet cost-effective technologies and techniques for cultivating macroalgal biomass for use in the production of fuels and chemicals. Particular emphasis will be placed on novel harvesting and transportation systems that leverage novel materials, autonomous systems, aquatic sensors and monitors, and computational modeling tools. Funding: Subject to appropriations, ARPA-E has allocated $25 million for MARINER. ARPA-E expects to issue approximately 15-20 awards under this FOA ranging between $250,000 and $10 million each. Performance Period: ARPA-E intends the performance period of each award to vary by category. Phase 1 of Category 1 awards will have a maximum performance period of 12 months, while Phase 2 of Category 1 awards will have a maximum performance period of 36 months. The performance period for Categories 2-5 (all of which are single-phase awards) will be 36 months. Eligibility: For-profit entities, academic institutions, and nonprofit organizations incorporated in the U.S. are eligible to apply for MARINER funding as standalone applicants or as leads or members of project teams. Federally Funded Research and Development Centers (FFRDCs) and DOE National Laboratories are eligible to apply as either leads or members of project teams, but are restricted from submitting proposals as standalone applicants. Cost Sharing: Cost-sharing of 20 percent is generally required, but is reduced to 5 percent for educational institutions and consortia exclusively of educational institutions, domestic non-profit organizations, and FFRDCs. ARPA-E strongly encourages large businesses to provide more than the 20 percent cost share. The full FOA is available at https://arpa-e-foa.energy.gov/Default.aspx#FoaIdbd634121-488f-4c13-a13a-88295c643ed5. General information about ARPA-E is available at https://arpa-e.energy.gov/.